Preheat grill. Place bratwurst and bell peppers on grill and cook 8 to 12 minutes or until peppers are tender and brats are heated through. Meanwhile heat marinara sauce until warm. Place buns on grill for last 1 to 2 minutes for toasting. 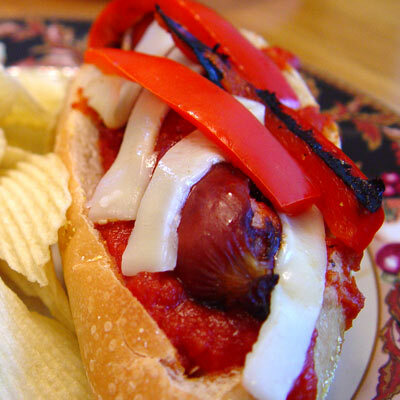 Layer bell peppers, marinara sauce, bratwurst and cheese in buns. Serve hot.